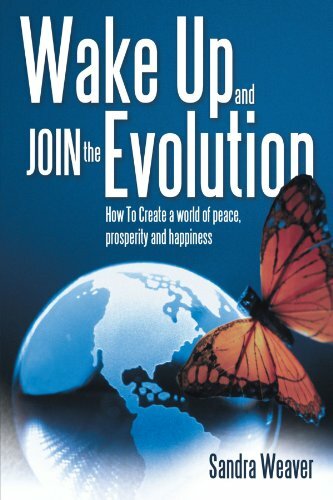 about this book: Wake Up and Join the Evolution was written in the wake of the 2012 phenominon. It was not the end of the world, but simply the end of one cycle of the Mayan calendar and the beginning of the next. I wrote the book to dispel any doom and gloom and to encourage people to take a look at what is happening on our planet and in our world community. The Maya considered the Great Cycle to be one world age, one growth cycle, at the end of which humanity reaches the next stage in its spiritual development. Now, six years later, our world seems anything but spiritual. Perhaps it was necessary to bring forth our old prejudices, violence and toxic thinking in order to look at it and make the necessary changes. I wrote the book to dispel any doom and gloom and to encourage people to take a look at what is happening on our planet and in our world community. We are the ones who must bring about the changes we so desire. We have had systems in place for many years and they have served us well. Today, however, many of these systems are broken and do not serve us well. Look at our financial system, our education system, our healthcare and even our government. Now is the time to wake up to what is not working in our world and find a better way. This will require that we change our thinking. I chose the title, Wake Up and Join the Evolution as a play on the word relating evolution to revolution which occurred in our past history. As it turns out, a revolution is happening today throughout our country. We are rebelling against many of the actions taken by our leaders, the big corporations, and the unfairness we see all around us. We are evolving as a people to a higher state of consciousness and are willing to work for the changes we want to see. Wake Up and Join the Evolution is a handbook of facts and ideas for those who want to see a world that works for everyone.